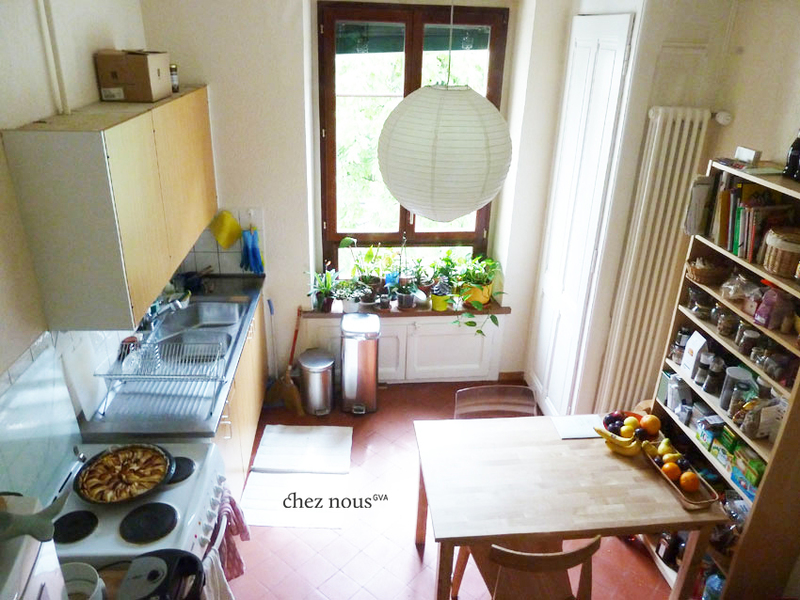 Seven years in the making and two apartments later, here I am finally writing about the food we prepare and cook at home, the little goofy culinary fails and accidental wins we have, and the food in other people’s kitchens. Yes, seven years. Food has always been a huge part of my identity. I come from a family and a culture where food is revered and treated as sacred. From birthdays, graduations and christmases to Sunday lunches, packed lunches and random dinners, food has always been a real creative outlet and defining part of my life. The taste. The texture. The complex mix and match of food that would complement each other. It’s an art. Growing up, I’ve been very lucky to have traveled the world through my palette. My parents have always introduced different cuisines to us, and I suppose that’s how I and my brothers ended up having such a lasting affair with food. And not to brag, but my mother is one of the best cooks I’ve ever known. Cliché as it may sound, it is true. If you have had the pleasure of eating my mom’s food, you’ll get what I’m saying. 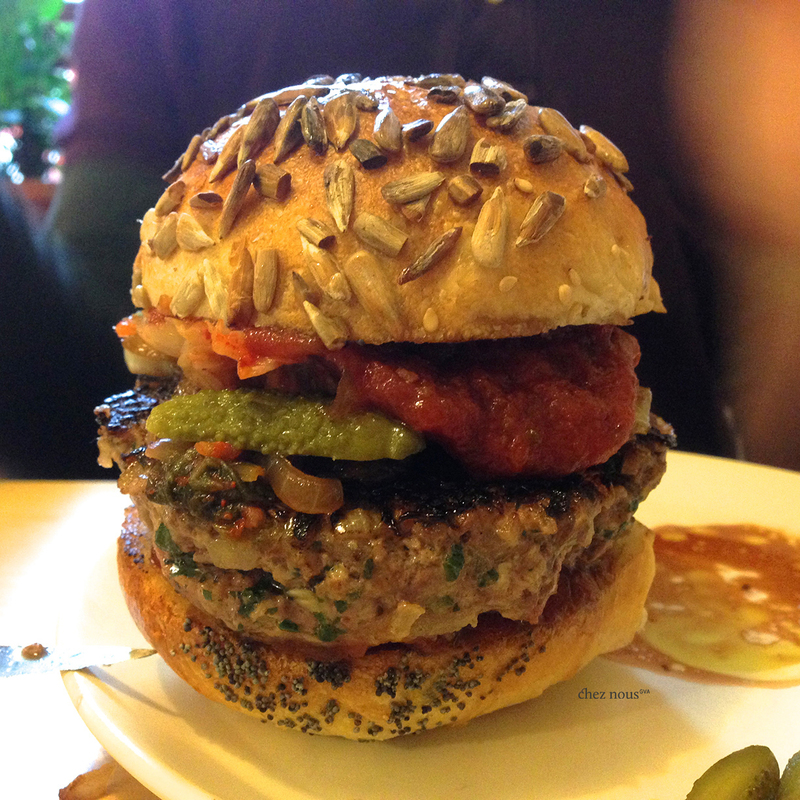 To mark this day, this first post, let’s begin with our little kitchen and the best burger (at least for 2014). 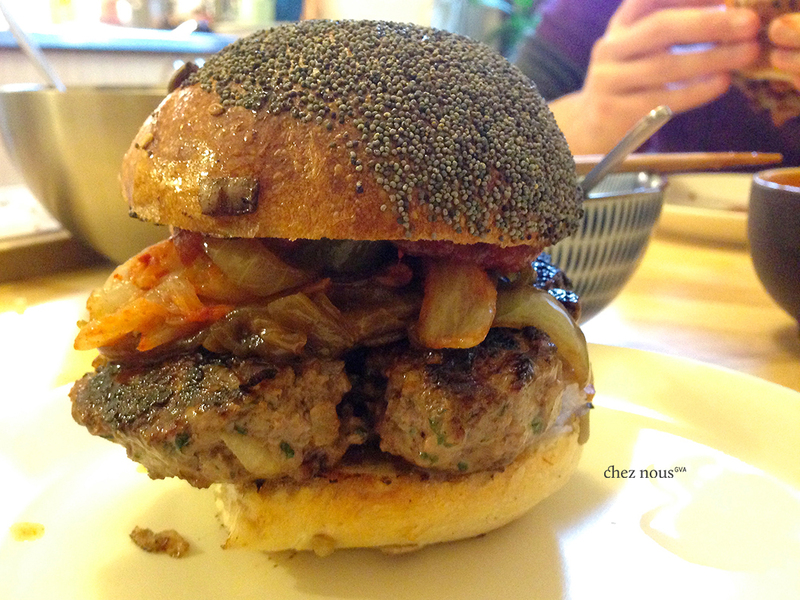 Today, we decided to make home-made burgers. The weather over here has been gloomy and such downer today, but that didn’t stop us from whipping out some nice pan-grilled burgers. I call this the Asian-Latino-Frenchie burger. A bit of Kimchi, a couple slices of jalapeño and some caramelized onions topped this beautiful beef-onion-garlic-herbs patty. Just the perfect pick-me-up meal for this cold autumn Sunday.